Hydrocodone is a prescription painkiller. Hydrocodone is a prescription drug that is commonly prescribed for the treatment of moderate to severe pain such as that associated with injury, illness or surgery. There are a number of legitimate reasons to take Hydrocodone but this drug is also widely abused and can lead to physical dependence when used improperly or when taken for a prolonged period of time. Many wonder, “What is Hydrocodone?” and how does it work? This medication is most often combined with acetaminophen to develop a pain relieving analgesic that works to reduce moderate to severe pain in those who have recently had surgery, suffered an injury or are suffering from an illness that includes serious discomfort. Hydrocodone is a narcotic analgesic that acts upon the Central Nervous System (CNS) to stop pain and prevent cough. Unfortunately, anytime Hydrocodone is taken for more than a few days or it is taken improperly, there is a risk of addiction. Hydrocodone addiction can result from taking this medication without a prescription for the purposes of getting “high” but it may also come as a result of taking the drug for legitimate treatment of pain. Even if you are prescribed Hydrocodone, there is a risk of becoming addicted if you continue to take the medication for more than just a couple of days. Each dose of Hydrocodone increases the risk of physical dependence. Taking the drug for a couple days usually does not have any major adverse effects, but if you take Hydrocodone for a week or more there are increased risks for physical dependence to set in. As you take Hydrocodone, tolerance will develop and it will take more and more of the drug to produce the same effects. As tolerance continues to build and stronger doses are taken the body becomes more comfortable with the Hydrocodone and when Hydrocodone use ceases there is a likelihood that physical withdrawal symptoms will be felt. Not all users will experience withdrawal when they stop taking Hydrocodone. However, many people experience mild to moderate flu-like symptoms when they first stop taking this medication. It is very common for people to be prescribed Hydrocodone for the treatment of pain and to later think that they have come down with a cold or the flu when they stop taking the drug—this is the result of Hydrocodone withdrawal symptoms that are experienced when the user attempts to quit using the drug. 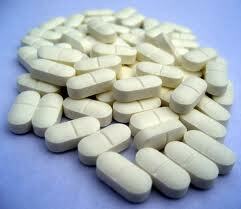 Most of the time, Hydrocodone is administered in a tablet form. The medication is usually mixed with acetaminophen to reduce inflammation associated with many of the factors that cause pain. The medication may also be available in a liquid form, especially for the treatment of cough. Hydrocodone is also found in Elixirs, syrups, solutions and capsules. The method of Hydrocodone administration will depend on a variety of factors including the patient age, health and medical needs. Generally, Hydrocodone is taken orally by mouth every four to six hours but your physician may request that you take the drug more or less often.